The Arkansas Medical Foundation is in existence to provide for the identification and treatment recommendations of healthcare professionals who suffer from impairment, in order to promote the public health and safety and to insure the continued availability of skills of highly trained medical professionals for the benefit of the public. The activities of the Foundation shall be confined to the extension of medical knowledge, the advancement of medical science, the evaluation of the standard of medicine, all to the benefit of the public. The Physicians' Health Committee is formed pursuant to the Arkansas Medical Society peer review program for the detection, intervention, and monitoring of Impaired Physicians to identify and offer professional assistance to Arkansas Physicians whom are afflicted with mental/emotional illness or the disease of chemical dependency, such as alcoholism, drug abuse, or mental illness. Arkansas Medical Foundation (AMF): The AMF was created in 1996 pursuant to Arkansas Code Annotated Section 17-80-201 Et seq. The AMF is a 501 c (3) corporation. The Foundation is governed by a Board of Directors which shall have the general management and control of the business affairs of the Foundation and shall exercise all powers that may be exercised by the Foundation under the applicable statutes and Articles of Incorporation and Bylaws. The Board may utilize the Physicians' Health Committee, which is to be designated by the Arkansas Medical Society. Part of the funding of the Foundation comes from a legislated assessment onto the annual licensing fee collected by the Arkansas State Medical Board. Physicians' Health Committee (PHC): The Arkansas Medical Society Impaired Physicians' Committee was established in 1983. In 1987, the Committee was restructured to include only recovering physicians and its name was changed to the Arkansas Medical Society Physicians' Health Committee. The AMF was created to help implement and facilitate the duties of the PHC. 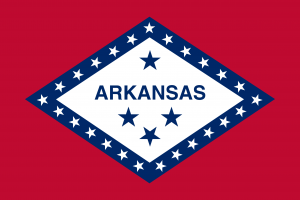 Pursuant to Arkansas Code Annotated 17-80-208 and 16-46-105, all information and referrals of suspected impairment received by the PHC are confidential, nonpublic, and carefully maintained. The PHC complies with federal and state regulations concerning security and release of protected information. The PHC members act as a peer review group for the Medical Director of the AMF/PHC. The Arkansas Medical Society's PHC is a peer review program which assists physicians in overcoming substance abuse-addiction, alcoholism, and organic brain, psychiatric and psychological problems that affect their personal and professional lives. We help identify, intervene, arrange for evaluation and treatment, assist in their reentry into the medical profession and advocate and monitor their recovery. The PHC is not a diagnostic or treatment program but only acts as a facilitator. Members of the PHC are themselves in recovery, are located in the each of the geographic areas of the state and are the facilitators of Caduceus/professional meetings held weekly in their respective areas. The second function is to act as a peer review group for the Medical Director and his actions. This allows the Medical Director the legislated immunity as long as he acts in good faith on confirmed information and without malice. Any client information and other nonpublic information acquired, created or used in good faith by the Committee and the Arkansas Medical Foundation Board shall remain confidential and shall not be subject to discovery or subpoena in a civil case. No person participating in good faith in the operations of the Committee or Board shall be required in a civil suit to disclose any information or opinions, recommendations, or evaluations acquired or developed solely in the course of participating in the Committee's or Board's activities. All information acquired, held, and transmitted in any fashion to any source by the Foundation and Committee will be held in compliance with federal and state regulations. For those physicians under contract that are following the recommendations of the Medical Director and PHC, as well as complying with proper documentation and payment of appropriate fees, advocacy will be granted. The Medical Director/Program Director will appear and/or document to the requested authorities the full compliance with the physician's contract and screens. For those physicians that choose not to follow these requests, advocacy will be withdrawn and appropriate authorities will be notified. It is then up to these authorities to take the action they deem necessary to protect the public welfare. Participants are under either a Voluntary contract or a Board Ordered contract. If a voluntary participant has repeat non-compliance, this may be reported to their respective licensing board. We are required to notify licensing boards of any issues of non-compliance with respect to Board ordered participants.